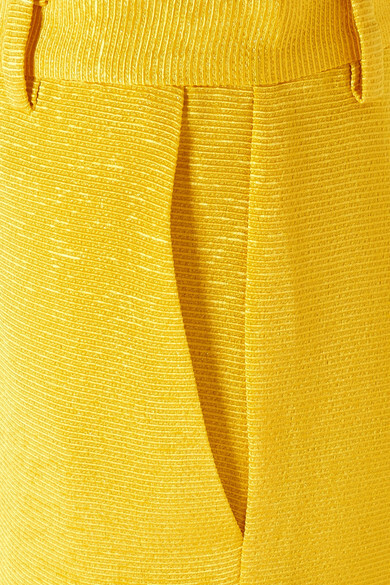 Stine Goya's latest collection is devoted to color theory and even her fabrics are chosen to make each hue pop beautifully. 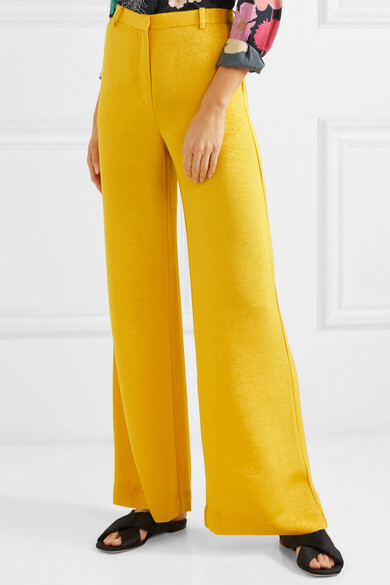 These yellow woven 'Luca' pants are flecked with sparkly gold threads and cut in a relaxed, wide-leg fit. Heighten the retro vibe by wearing them with a printed shirt loosely tucked in. 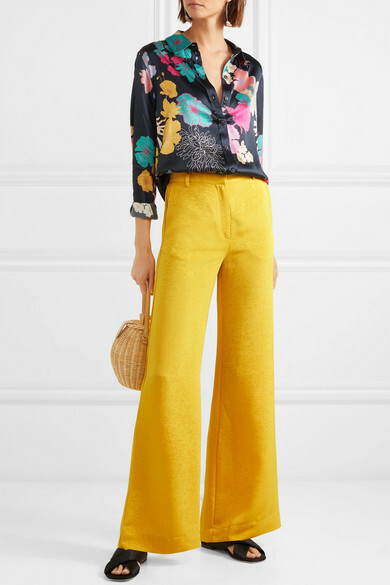 Shown here with: Stine Goya Shirt, Ulla Johnson Shoulder bag, Joseph Earrings.